Jane Hinrichsen Hays obituary. Carnes Funeral Home. Aug 18, 2016 Our prayers are with you and your family. We love you She was an amazing women n will be truly missed. We wish we could be there. Robin & Jeff. 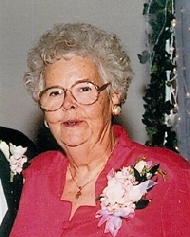 Jane Hinrichsen Hays, 78, passed away August 11, 2016 in Houston, Texas of natural causes. She was born on December 14, 1937 in Houston, Texas. Jane is preceded in death by parents, George and Winnie Hinrichsen. Survived by sons, George Clifton Hays and Samuel Clifton Hays and wife Amber; three grandchildren, Jared Clifton Hays, Harvey Clifton Hays, and Georgia Grace Hays. Jane graduated from Austin High School and Southwestern University in Georgetown, Texas. Memorial Services will be August 18, 2016 at 3:00 PM at First Methodist Church-Houston 1320 Main Street.